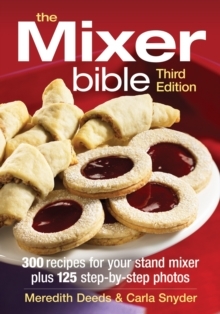 The bestselling book on making the most of your stand mixer is back in an expanded edition. A stand mixer is perhaps the most useful piece of culinary equipment you can own. And the Kitchen Aid stand mixer is the Rolls Royce of stand mixers. It kneads dough, grinds meat, slices vegetables, whips egg whites, makes ice cream and extraordinary pasta. 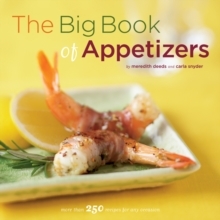 This outstanding collection of delicious recipes will inspire you to create everything from appetisers and soups to homemade pasta, sausages and divine baked treats. In an easy-to-understand fashion, The Mixer Bible takes you through all the details of how the mixer and its attachments work - giving you all the information you need to maximize the benefits of this amazing machine. 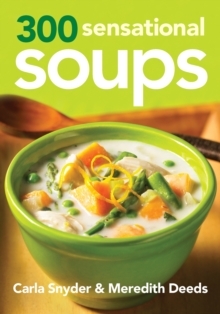 This newly expanded edition features 125 colour step-by-step photos which depict and highlight the use of 16 of the authors' favourite attachments. It's like having them right in your home kitchen, guiding you all the way! There's even an 'Understanding the Equipment' section which answers all your stand mixer and attachment questions. The stand mixer really is the quintessential culinary work centre, capable of saving you time and money. Not to mention the fact that they look very pretty on your kitchen counter!